The concept of ‘net neutrality’ was something I had heard mentioned a few times, but had no idea of the meaning. It seemed like it was important but I wasn’t tech-savvy enough to understand it in any sort of detail. 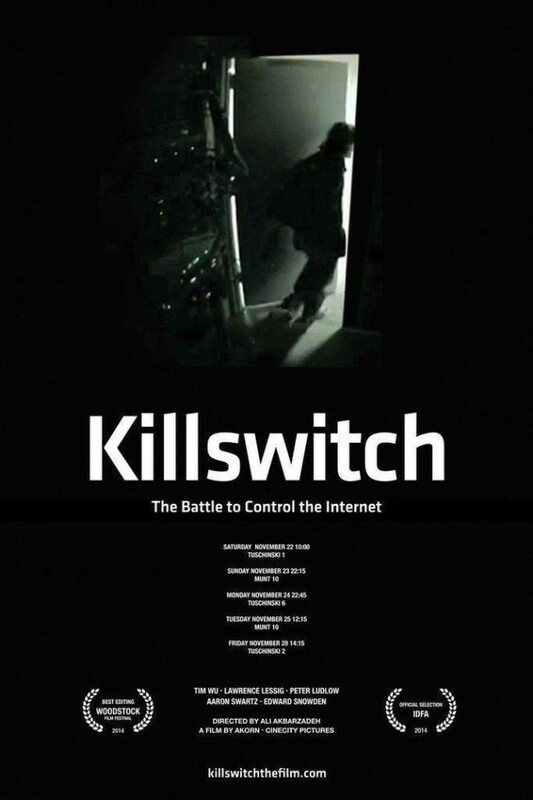 This film efficiently explains the situation, and its importance, by explaining the very real dangers of having the internet turned into a monopoly; into a place that is not free as we know it to be now. While using three excellent talking heads, the film also uses two major examples to strengthen its argument; the cases of Edward Snowden and Aaron Schwartz; both extremely bright young men within the IT sector, both vilified as traitors and both targeted simply due to their politics and ideals. Now there is no question – this film is biased as all hell. It doesn’t approach ZEITGEIST levels of bias, but obviously intends to hammer its ideas home in the most efficient way possible. This didn’t bother me at all though, as it revealed so much to me that I did not know. It also doesn’t seem preachy at all, and factually it checks out with global rumblings I was already aware of. The biggest part of this story is that of Aaron Schwartz. Programming code at the ages of 14 and 15, once Aaron matured he became almost a crusader, a selfless leader in the charge for information to be free. It is stated at the start of the film that information is like the new world’s gold, and whoever controls it can control almost anything. Schwartz defended his ideals with his life, downloading thousands of scholarly articles without paying and then sharing them across the web. It was an act of civil disobedience, but the reaction had such venom it was almost like he’d committed a terrorist attack. This section of the film is also emotionally stirring as one of the professors interviewed had met Aaron at 14 and had watched him grow up, doing these marvelous things that affected his own way of thinking. Snowden’s appearance wasn’t as well done as the part about Schwartz, mainly because there wasn’t a close relative or friend offering comments. The information he offers is far from useless, but it is all from other videos and was mostly things I had already heard him say. His points stand though; guilt is not needed anymore, as simply matching the description of a suspect is all that is needed for your every click on the internet to be combed through and scrutinised. Not to mention the flagrant ignorance of privacy his revelations brought into the public eye. Before watching this I had never really thought of the two men in the same light. IT is a big sector these days and the two young men were in very different areas. However, the issue of a free internet over a controlled internet is a powerful one that I now feel I properly understand. It didn’t matter what areas of IT Snowden and Schwartz worked in – both were targeted because they used the freedom of the internet to do what they thought was right for the public. This is why the inherent corruption within US governments is also brushed on, but not elaborately, as it is the US government that stands the most to gain from having someone like Aaron Schwartz silenced. The same applies to Edward Snowden – I’m sure the US would be very happy to know that he isn’t telling any more of their dirty secrets – secrets that were vital to public awareness. Yet he is still deemed a traitor. The film is surprisingly broad in the issues it covers without feeling cluttered or messy in any way. This coherent feeling is thanks largely to two things – the editing, which looks subtle yet modern and results in a compact (under 90 minute) film – but also the three talking heads that are used throughout: Tim Wu, Peter Ludlow, and the man who was close to Schwartz, Lawrence Messig. They all offer very different views, and they all obviously know what they are talking about. They may all be on the same side of the argument, but their different backgrounds mean that their input is unique and doesn’t overlap or repeat itself. The excuse, “I have nothing to hide so I don’t care if the NSA spies on me,” simply is not good enough anymore. Category : 2014, Film, Must Watch! Dude, this is an excellent piece that really gets me wanting to see this. I still kick myself for missing CitizenFour, and I’d really like to see the docu on Julian Assange, so I guess I’ll add this one in with those. That list is going to be a long one before I even get to it, I feel like! Top notch work buddy. I will have to check this one out. It’s a documentary? Where did you watch it? I can’t find it online anywhere. Oh ok. I will try to watch when I see it online. BTW, did you read my Green Inferno review? Check it out when you get a minute. I wanted to know what you think of this one. I’ll check it out now! Great write-up Jordan. This sounds like it would make an intriguing companion piece to CitizenFour. I’ll need to seek it out! When I watched it I thought that same thing, this and CitizenFour would make a great double feature. Although it sounds like this needs to be watched with a skeptical eye (given your suggestion of bias), it sounds like an interesting watch and, as Adam says, a great companion to CitizenFour. I’ll have a look for it on Netflix etc later!